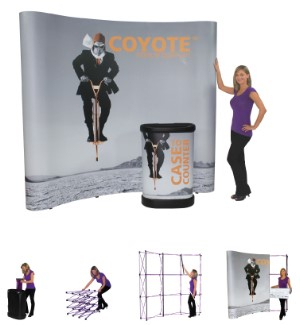 The Pop Up Display is a trade show classic! Magnets on individual channel bars make popups fast and easy to set up and break down, especially when compared to complicated "snap in" channel bars and fragile locking style systems. 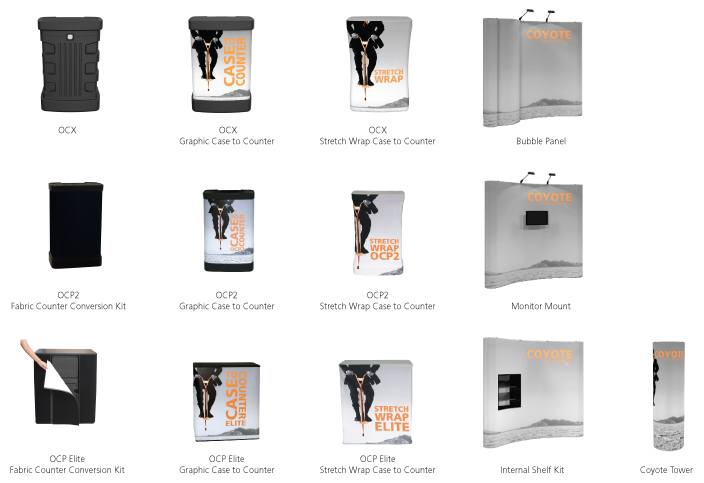 All popup displays are offered in curved and straight systems, single or double sided. 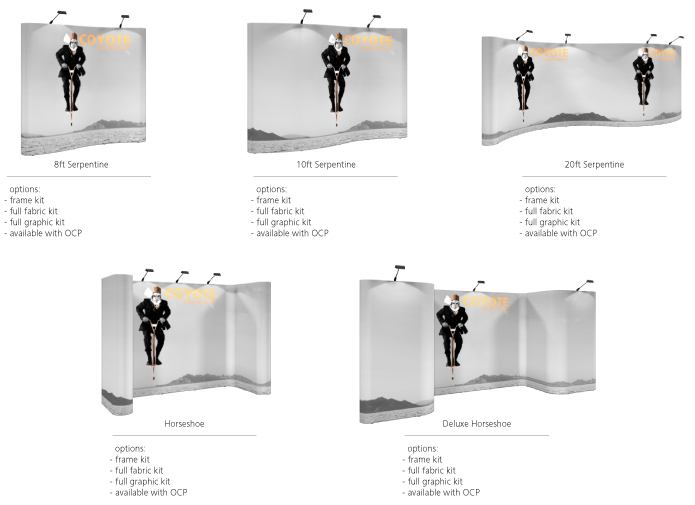 Option of displaying graphic mural panels or versatile Velcro reception fabric panels. See below for a set up video.